We’re down to the elite eight in American club soccer. Last night, the New York Red Bulls took out defending champs Sporting KC, so we will see a new winner crowned in early December. All eight teams have different reasons to believe they will be that winner. There are storylines a plenty: Landon Donovan’s final games, Thierry Henry’s possible farewell, Seattle and New York looking to reverse past playoff letdowns, and the surging Revolution trying to crash the party. Let’s take a look at each first round matchup, which starts tomorrow (November 1st) and features a two-leg, home-and-home series. The Seattle Sounders are one of the most star-driven teams in the league. 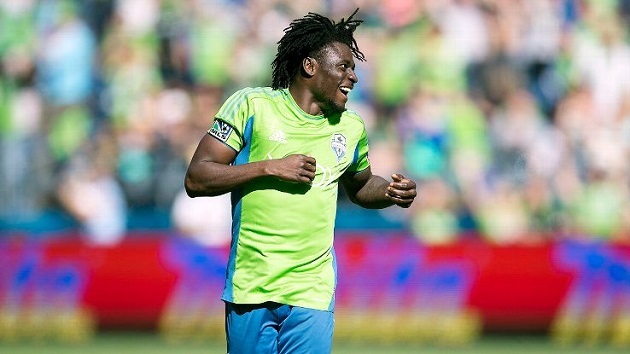 Obafemi Martins and Clint Dempsey spur the lethal attack up the field, taking turns serving as playmaker and finisher. The Nigerian Martins (he’s spent time overseas with Inter and Newcastle, among others) is an MVP candidate with 17 goals and 12 assists, while running mate Clint has added 15 and 7. On the FC Dallas side, 33-year-old Panama international Blas Perez leads his squad in goals and assists. Also, his nickname is Super Raton, so there’s that. With five players who scored six goals or more, the Sounders have plenty of talent behind their two horses up front. Winger Lamar Neagle has been excellent and unsung for Seattle this campaign, posting 9 goals and 7 assists. For Dallas, they rely heavily on a tandem of underrated Colombians Escobar and Castillo. Both of them are under 24 and can fly. Fairly high. You know about the Sounders’ two World Cup heroes, Dempsey and fullback DeAndre Yedlin (on his way to Tottenham after the season). Beyond them, Sounders veteran Brad Evans has made 17 US international appearances and was one of the final seven cut by Klinsmann before last summer’s World Cup. 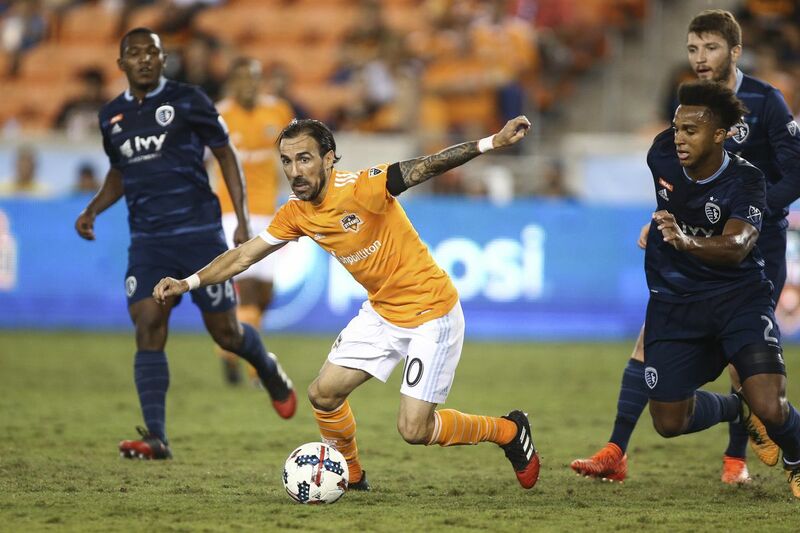 FC Dallas advanced from Wednesday’s play-in game vs. Vancouver on a late, controversial handball in the box to give Dallas the penalty shot to win it. This is an inconsistent team that has had trouble staying disciplined, which makes them kind of a wild card. The Sounders, on the other hand, are red hot. They just won the Supporter’s Shield (best regular season record) and look ready to bounce back from their postseason collapse last year. I think Seattle wins both games. We’re talking about the LA Galaxy, so there is plenty of star power to go around. MVP-frontrunner Robbie Keane is coming off another monster season. 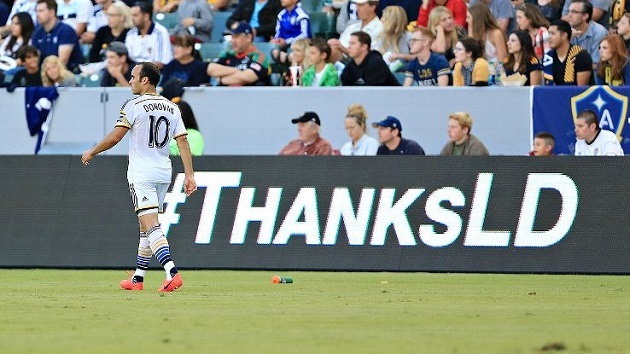 American folk hero Landon Donovan is playing his final professional games. These two have connected for a deadly strike force, with Donovan (league leader in assists) finding Keane in great spots. Real Salt Lake boasts one of MLS’ best keepers (Nick Rimando) and one of MLS’ best all-time players (Kyle Beckerman). Name recognition is not a weakness in this matchup. Young American Gyasi Zardes has pumped in 16 goals as the Galaxy’s other forward this season. No one really talks about him, but you will pay dearly if you leave him unattended. Real Salt Lake is full of underrated gems, but we’ll go with Javier Morales. He’s lost some athleticism but is still capable of breaking a game wide open with an incisive pass. Morales racked up 12 assists on the season, good for second in the league. As you well know, Donovan’s USMNT career has come to a close. The Galaxy do still have Omar Gonzalez serving his country on the regular; he missed 12 games this season on duty with the USMNT. Beckerman fell into favor with Klinsmann and was a World Cup starter in the US midfield, while Rimando has been a backup keeper the last couple years. Although those two are aging, we could still see them pop up in some future American matches. Also, that future could be bright for 20-year-old Luis Gil. Keep an eye on that youngster. RSL lost the MLS Cup finals last season in a shootout. Then they lost their up-and-coming manager Jason Kreis to NYCFC. That had to sting. Still, this group of cagey veterans brought everyone back. Although they couldn’t keep pace with the Sounders and Galaxy in the regular season, their playoff experience could come up huge. However, this Galaxy team has been on a mission. They are also an older, veteran squad with abundant postseason chops. I don’t think RSL has the athleticism necessary to break down the Galaxy, so I’m taking Los Angeles. Donovan will be motivated to go out on top with a sixth MLS Cup, and I think he does. New England’s star is Lee Nguyen, who finished the season fourth in goals scored. 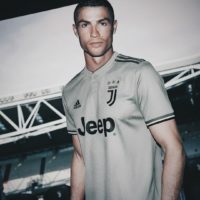 Don’t leave him any space in the attacking third, or anywhere really. 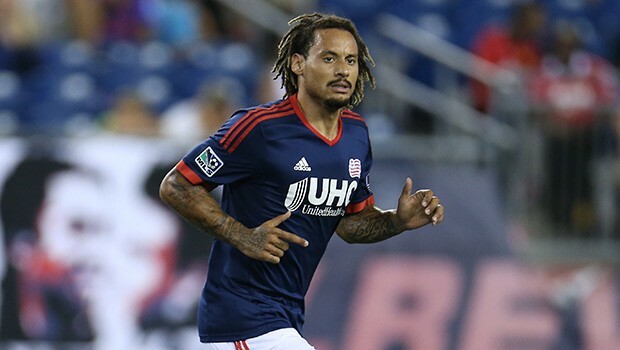 Their other main man is newcomer Jermaine Jones, who joined the Revs late in the season. Thing is, they’ve gone a scary 9-1-2 since then. The Crew don’t have much in the way of stars, although Federico Higuain (older brother to Napoli’s Gonzalo) leads the charge. The Revs have a number of guys who could be classified as Mr. Underrated, but I’m going with future star Diego Fagundez. The 19-year-old Uruguayan can inflict serious damage for someone so young. For Columbus, goalkeeper Steve Clark came back to the States after a stint in Norway and has been more than solid. Jones was a revelation (see what I did there?) 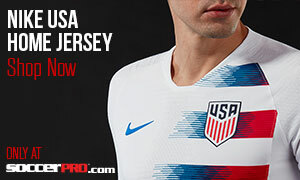 for the US this summer, providing the spark the Yanks needed time and again. Similarly, he’s a dangerous box-to-box midfield spark for the Revolution now. Defender Michael Parkhurst has spent time with the national team, just missing out on a ticket to Brazil. This one was easy for me. The Revs have too many weapons and are flaming hot right now. It’s true they have been super streaky, but once Jones entered the fray, things have turned their way. Columbus boast a stingy defense, I just don’t know how they keep up over two legs. Going with New England. Netminder Bill Hamid is an enormous reason the DCs co-led the league in goals against. He might win MLS Goalkeeper of the Year. Other than Hamid, this isn’t a team lit up by star-wattage. The Red Bulls, on the other hand, shine bright with big names. Thierry Henry, Bradley Wright-Phillips, and Australian Tim Cahill lead their fierce attack up front. I’ll go with Bobby Boswell for United. The veteran MLS defender has started every game for their stone-wall of a defense this season. For New York, midfielder Lloyd Sam has provided 8 assists on the year, helping boost Wright-Phillips to a record-tying 27 goals this season. Not yet 24, Hamid could be the future in goal for the USMNT. Forward Eddie Johnson is most likely the past, after getting cut from the team before the World Cup despite helping them qualify. He’s also on the wrong side of 30. The Red Bulls don’t have any notable names on the American soccer front. Two under-40 former MLS players manage these teams. Ben Olsen went from DC United player to coach in 2010, while Mike Petke took the New York job last season. The Red Bulls have a leaky defense, conceding 50 goals. In contrast, United only let in 37, which means the Red Bulls are praying for a high-tempo, in the hope that DC’s offense can’t keep up. 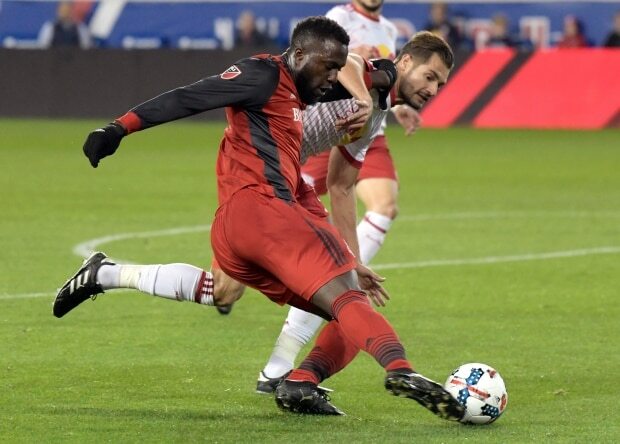 Despite their recent bitter postseason disappointments, I like the Red Bulls’ chances. They boast two of the best attacking players in the league, and Henry may be playing his final games. Expect a motivated Red Bulls offense.